This is a fresh, natural strawberry flavor. **Note: Occasionally, this flavor can show a bit of clouding, but this is normal. Ingredients: Natural and Artificial flavors, Propylene Glycol Size: 12ml This is a concentrated flavouring and should be mixed with VG (Vegetable Glycerin) and/or..
A light cream, very useful for blending with other ingredients. this is called sweet cream, but it is not really that sweet, but can lend an all-around milky character to other ingredients. Ingredients: Natural and Artificial flavors, Propylene Glycol Size: 12ml This is a concentrated flavo..
A creamy yogurt flavor. Great on it's own, or added in small amounts to to add a tangy dairy note to your blends. 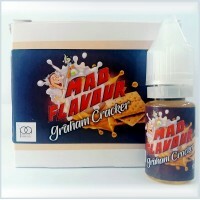 Ingredients: Natural and Artificial flavors, Propylene Glycol Size: 12ml This is a concentrated flavouring and should be mixed with VG (Vegetable Glycerin) and/or PG (Propylene ..
A rich, buttery custard flavor, stronger than our Bavarian Cream flavor. Ingredients: Natural and Artificial flavors, Propylene Glycol Size: 12ml This is a concentrated flavouring and should be mixed with VG (Vegetable Glycerin) and/or PG (Propylene Glycol) Manufactured by The Perfumer's.. Very strong menthol flavor. It will cool all the flavors. 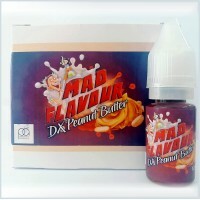 Ingredients: Natural and Artificial flavors, Propylene Glycol Size: 12ml This is a concentrated flavouring and should be mixed with VG (Vegetable Glycerin) and/or PG (Propylene Glycol) Manufactured by The Perfumer's Apprentice (US..
Tastes just like the ice cream! This flavor does not contain any "Custard" ingredients. Ingredients: Natural and Artificial flavors, Propylene Glycol Size: 12ml This is a concentrated flavouring and should be mixed with VG (Vegetable Glycerin) and/or PG (Propylene Glycol) Manufactured by.. This is a rich vanilla flavor. Ingredients: Natural and Artificial flavors, Propylene Glycol Size: 12ml This is a concentrated flavouring and should be mixed with VG (Vegetable Glycerin) and/or PG (Propylene Glycol) Manufactured by The Perfumer's Apprentice (USA) Packing and Distribut.. This is an elegant and rich vanilla flavor with hints of vanilla bean. Ingredients: Natural and Artificial flavors, Propylene Glycol Size: 12ml This is a concentrated flavouring and should be mixed with VG (Vegetable Glycerin) and/or PG (Propylene Glycol) Manufactured by The Perfumer's A.. This cheesecake has a pronounced graham cracker note, with a tiny hint of coconut. Ingredients: Natural and Artificial flavors, Propylene Glycol Size: 12ml This is a concentrated flavouring and should be mixed with VG (Vegetable Glycerin) and/or PG (Propylene Glycol) Manufactured by The .. This graham cracker flavor provides a very lovely "base" to work with. It is not a very concentrated flavor, but has a lasting effect. Ingredients: Natural and Artificial flavors, Propylene Glycol Size: 12ml This is a concentrated flavouring and should be mixed with VG (Vegetable Glycerin) .. This is a rich and creamy, realistic peanut butter. Ingredients: Natural and Artificial flavors, Propylene Glycol Size: 12ml This is a concentrated flavouring and should be mixed with VG (Vegetable Glycerin) and/or PG (Propylene Glycol) Manufactured by The Perfumer's Apprentice (USA) .. This is a liquid butter flavor similar to movie popcorn butter. Ingredients: Natural and Artificial flavors, Propylene Glycol Size: 12ml This is a concentrated flavouring and should be mixed with VG (Vegetable Glycerin) and/or PG (Propylene Glycol) Manufactured by The Perfumer's Apprent..
A very nice floral flavor, also very good for blending! 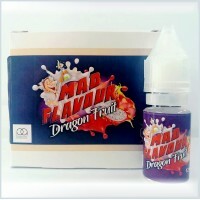 Ingredients: Natural and Artificial flavors, Propylene Glycol Size: 12ml This is a concentrated flavouring and should be mixed with VG (Vegetable Glycerin) and/or PG (Propylene Glycol) Manufactured by The Perfumer's Apprentice (USA)..
Fresh, natural tasting mango. 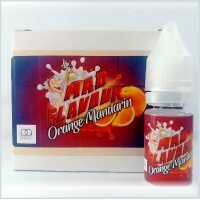 Ingredients: Natural and Artificial flavors, Propylene Glycol Size: 12ml This is a concentrated flavouring and should be mixed with VG (Vegetable Glycerin) and/or PG (Propylene Glycol) Manufactured by The Perfumer's Apprentice (USA) Packing and Distributi..
Sweet tropical bliss bursting with freshly squeezed Mandarin orange notes. Ingredients: Natural and Artificial flavors, Propylene Glycol Size: 12ml This is a concentrated flavouring and should be mixed with VG (Vegetable Glycerin) and/or PG (Propylene Glycol) Manufactured by The Perfumer..
A realistic Kiwi flavor, now sold in an extra-strong variety. Ingredients: Natural and Artificial flavors, Propylene Glycol Size: 12ml This is a concentrated flavouring and should be mixed with VG (Vegetable Glycerin) and/or PG (Propylene Glycol) Manufactured by The Perfumer's Apprentice.. This taste is very much like watermelon flavor, with a little more sweetness. Ingredients: Natural and Artificial flavors, Propylene Glycol Size: 12ml This is a concentrated flavouring and should be mixed with VG (Vegetable Glycerin) and/or PG (Propylene Glycol) Manufactured by The Perfu.. This is a fresh, natural strawberry flavor, a bit different than our original. Ingredients: Natural and Artificial flavors, Propylene Glycol Size: 12ml This is a concentrated flavouring and should be mixed with VG (Vegetable Glycerin) and/or PG (Propylene Glycol) Manufactured by The Perf.. It is a mellow fruity flavor with tropical accents. 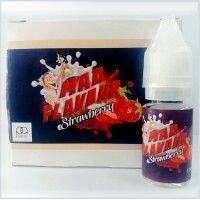 Ingredients: Natural and Artificial flavors, Propylene Glycol Size: 12ml This is a concentrated flavouring and should be mixed with VG (Vegetable Glycerin) and/or PG (Propylene Glycol) Manufactured by The Perfumer's Apprentice (USA) ..
Use this one to sweeten other flavors. * Note - when this flavor gets really cold, sometimes little crystals can form. This is harmless, and they will go away if you warm the flavor gently.. - also, can show variation in color from clear to light tan. Ingredients: Natural and Artificial flavor..
A light cream, not strong but a good blender. 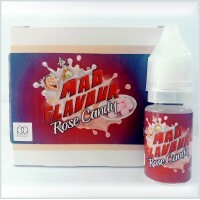 Ingredients: Natural and Artificial flavors, Propylene Glycol Size: 12ml This is a concentrated flavouring and should be mixed with VG (Vegetable Glycerin) and/or PG (Propylene Glycol) Manufactured by The Perfumer's Apprentice (USA) Packin..